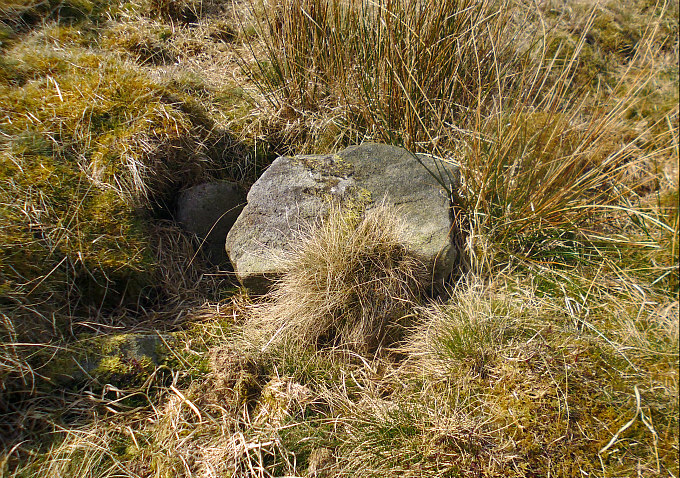 The Hare Hill ring cairn, near Thornton-in-Craven (closer-up). 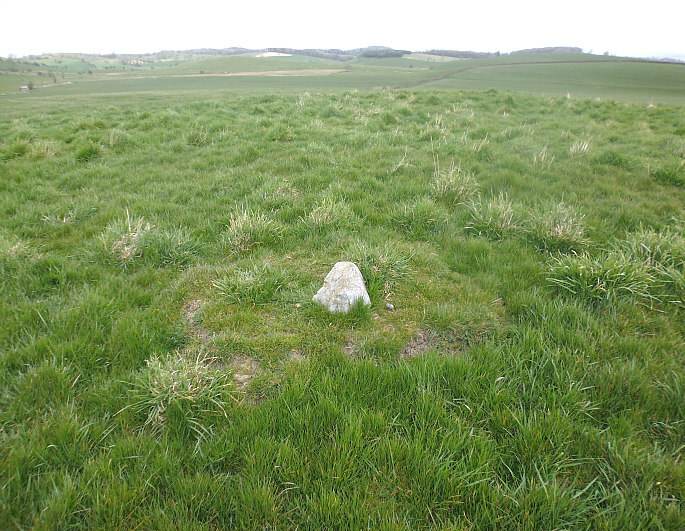 The Hare Hill Ring Cairn, near Thornton-in-Craven, North Yorkshire. OS Grid Reference: SD 92955 47705. 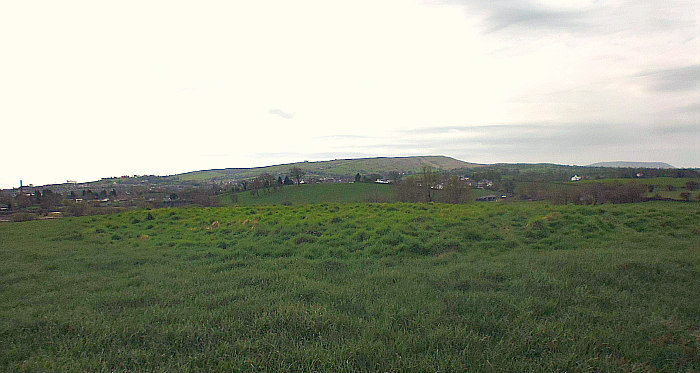 About ½ a mile to the south-east of Thornton-in-Craven, North Yorkshire, is Hare Hill and an early Bronze Age ring cairn or round barrow (tumulus). This ancient monument is on Hare Hill, close to footpaths which head northwest from Clogger Lane near Elslack. 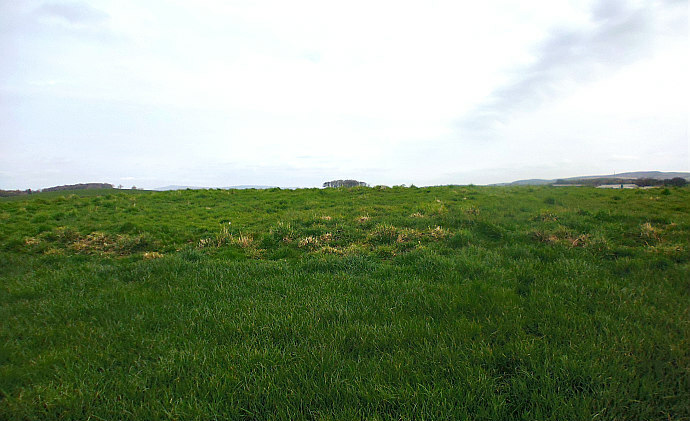 However, the burial cairn is now without its mound of earth and stones. 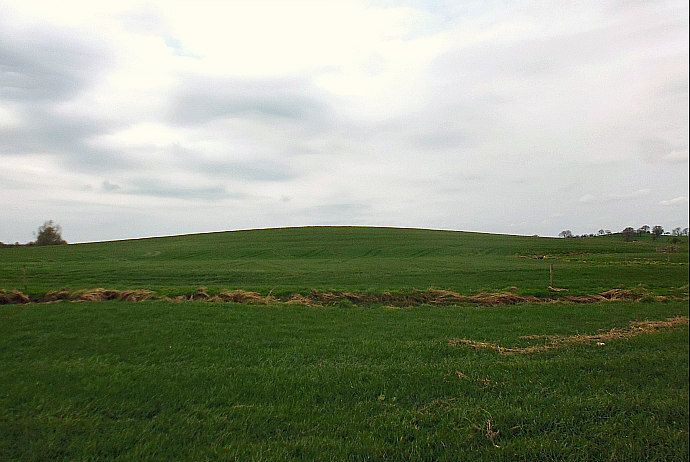 At the south-east side is Low Hill, which might be a significant place-name here, and over at the northwest side, Stone Pit Hill. 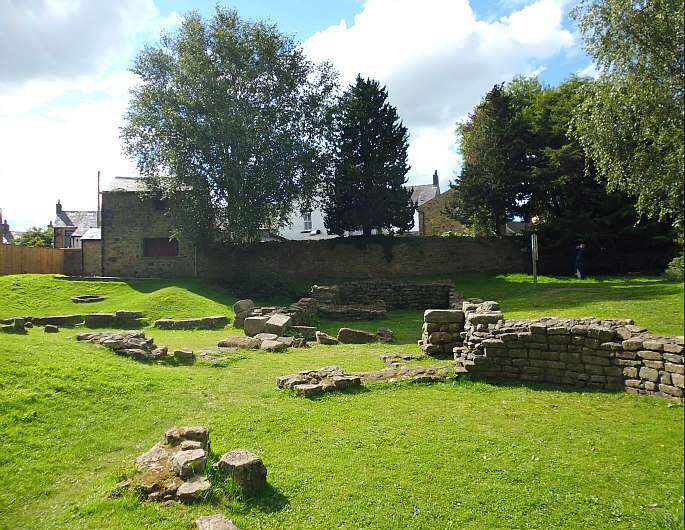 It was excavated back in the 1930s and 40s and many of the finds, including a large funerary urn, were deposited in the Craven Museum at Skipton. From the A56 Skipton Road near Thornton-in-Craven, turn (right) towards Elslack passing the hall, then right again onto Clogger Lane for ¾ of a mile and, after the woodland, take any of three paths (Pennine Way) on your right in a northwesterly direction onto the moor. Hare Hill being the second of the three lows hills in front of you. Hare Hill Ring Cairn, Thornton-in-Craven. (Close-up of the cist). 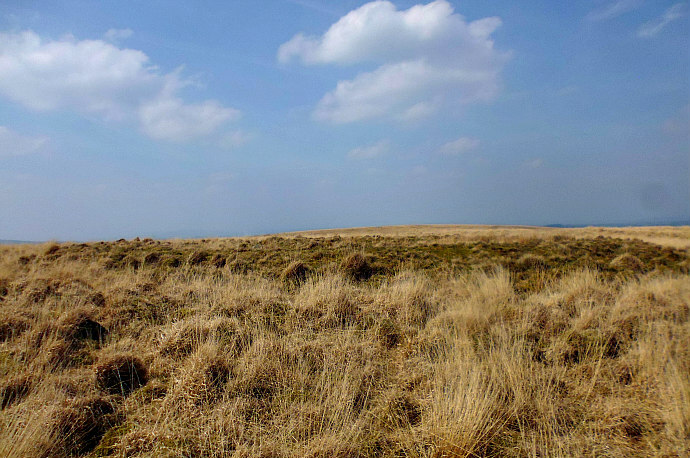 The round barrow monument atop Hare Hill on Thornton Moor is an early Bronze Age ring cairn or cairn circle that has lost its covering mound of earth and stones, but its outer ditch just about survives at the NW and SW sides, and there is possibly an inner ditch. Its raised bank is about 0.7m (2.3 ft) high, while the whole monument has a diameter of roughly 24m (78.7ft) and a radius across of 13m (42.6 ft) x 12m (39.3 ft). However, considering how long ago that this burial mound was constructed it is in a reasona-bly well preserved state, just a bit messed-around with in the middle! 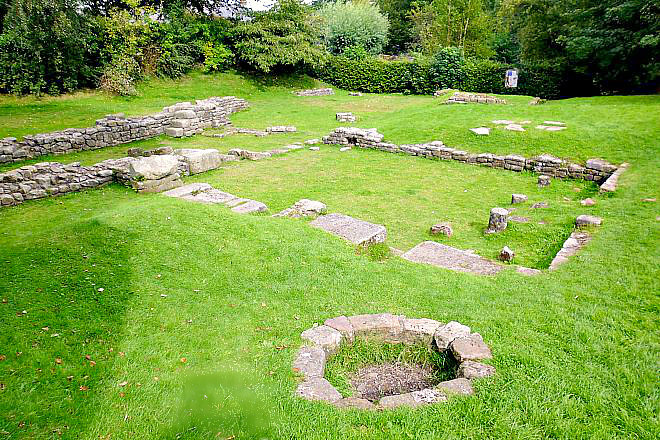 There are several stones towards the central part of the circle but as to whether these came from the burial cist or from the bank is not certain, and the stones may not be in their original positions? The signs of excavations here are all to clear to see with a small hollow and a large shaped stone above, and smaller ones inside it, which might have been the cist burial, while other small piles of stones can still be seen embedded into the grassy bank. 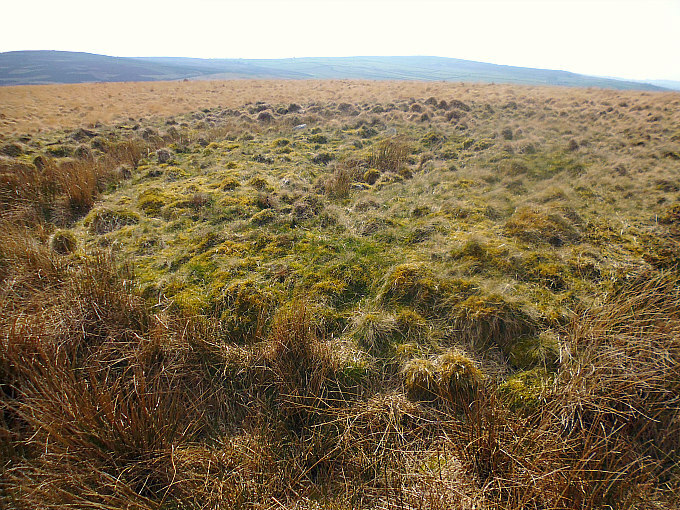 There may have been a settlement in the vicinity of the ring cairn though there are no visible earthworks here. 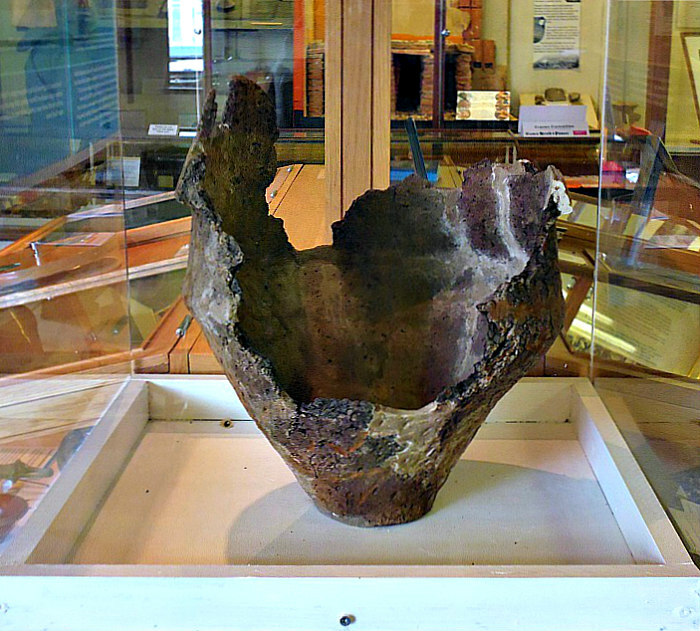 Hare Hill urn in Craven Museum at Skipton. Dixon, John & Phillip, Journeys Through Brigantia Volume One: Walks in Craven, Airedale and Wharfedale, Aussteiger Publications, Barnoldswick, 1990. ©Ray Spencer, The Journal of Antiquities, 2019. 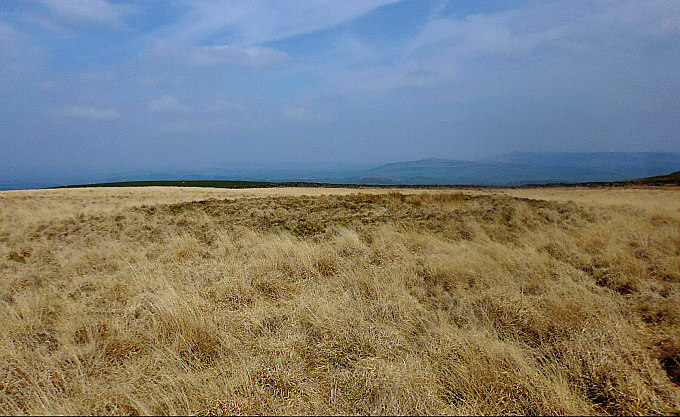 Categories: Cairn / Cairn Circle | Tags: Hare Hill Ring Cairn near Thornton-in-Craven in North Yorkshire | Permalink. 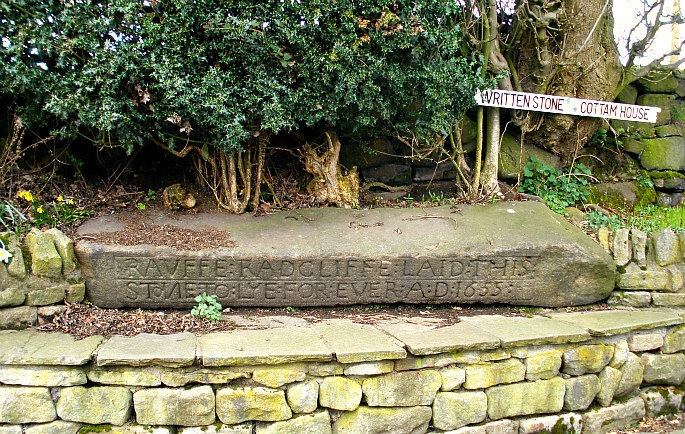 The Written Stone at Grimsargh, near Longridge, Lancashire. OS Grid Reference: SD 62622 37892. At the northern end of Written Stone Lane at Grimsargh, near Longridge, Lancashire, is a very curious and mysterious stone slab, with an even stranger inscribed message carved onto it and the name Ralph Radcliffe (1655), although this very large lump of gritstone might be much older. This inscribed stone, known locally as ‘The Written Stone’, stands at the side of the lane close by the entrance to Written Stone Farm, originally called Cottam House. 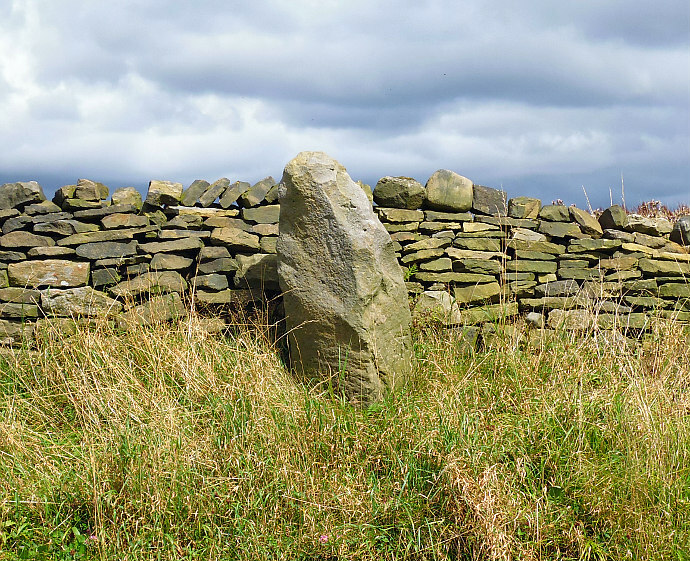 It became known as ‘the cursed stone’ after very strange and ghostly happenings took place when the farmer decided to try and move it, but he had to return the stone to its original position when ‘all hell let loose’, according to the legend. To reach this site from the east side of Longridge: head onto the B6243 for a couple of miles in the direction of Hurst Green. Passing the two Spade Mill reservoirs on your left continue for a short distance, then take the next (left) turning up Written Stone Lane; the stone is in the bank beside the entrance to Written Stone farm, on the left-hand side. The Written Stone is a huge long lump of sandstone measuring 9 feet in length, 2 feet wide and 18 inches in depth, and is said to weigh several tonnes. There is a long inscription along the side of the stone in large letters dating back to the mid-17th Century. 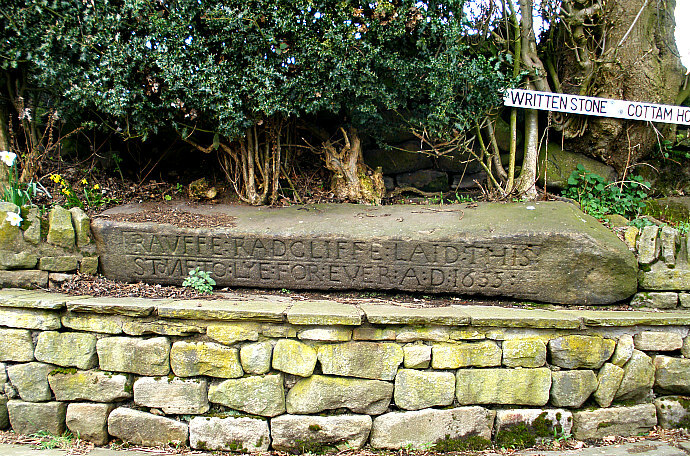 The message reads: RAVFFE: RADCLIFFE: LAID: THIS STONE TO LYE: FOR: EVER: A.D. 1655. It is, according to the legend, said that a terrible murder was committed here. 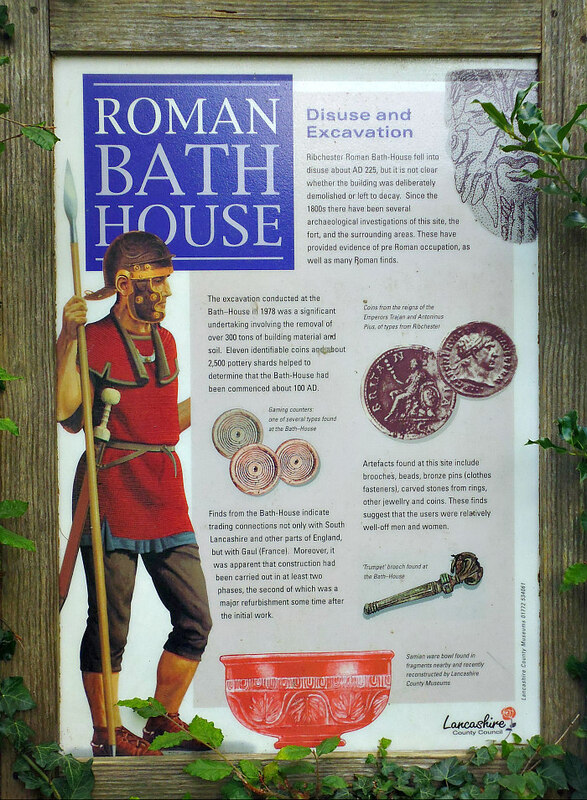 The victim of this murder began to plague the conspirators – the Radcliffe family – who lived at Cottam House. Several members of Ralph Radcliffe’s family began to die in strange circumstances as if they were cursed in some way. In the hope of atoning for this terrible murder Mr Radcliffe had a large stone carved and an inscription written onto it; the hope being, perhaps, that the restless spirit would be calmed. But travelers going along the lane, which local people called Boggart Lane, began to report strange happenings – loud screeching sounds, bumps and bangs, ghostly appari-tions, people being pinched and their clothing being messed about with. All this was simply put down to a poltegiest trying to cause trouble. 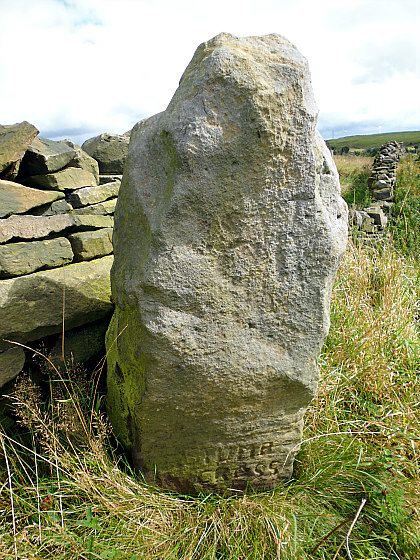 The Written Stone is a long slab of gritstone with an inscription carved on its side. 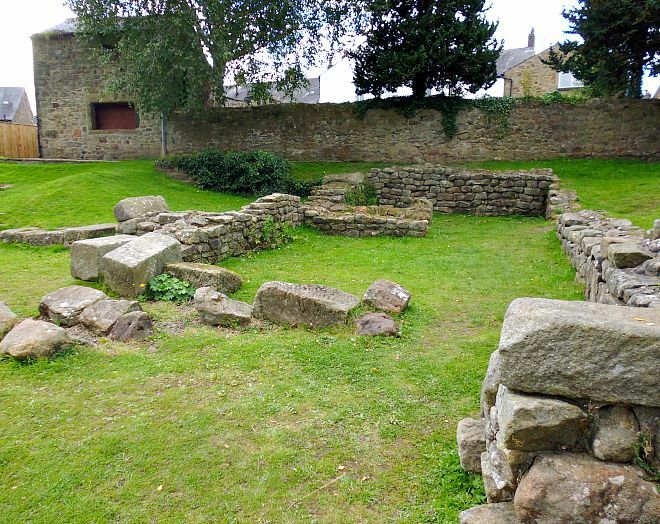 Many years later when the Radcliffe family had moved away from Cottam House its new tenant decided to try and move the large stone so that he could put it into use as a “buttery stone” in his dairy. However moving the stone proved very difficult. It took six horses and many local people to actually move it. But during the removal a number of persons were injured and much noise seemed to eminate from the stone itself. When the said stone was finally moved to its new resting place the problems continued – anything placed upon it just fell off or was thrown off by unseen hands. During that first night “all hell let loose”, with loud bangs and clatterings, and other horrid noises. The next morning the farmer decided he’d had enough and the six horses and local folk were asked to move the stone back to its original site but, oddly enough this time only one horse was required – the stone almost moving of its own accord – seemingly the demonic spirit was eager to get back from whence it came and, from that day onwards the stone has not been moved or touched, according to the Legend. So peace and quiet returned to the country lane. Today, people walking past the stone seem unaware of its terrible history, but I wonder whether anyone dares to touch the stone or get too close to it. Let it be ‘a warning’ to anybody who might even consider trying to move, or take the stone away, from its “place of eternal rest” and, if you do, be ready for the consequences, or not. 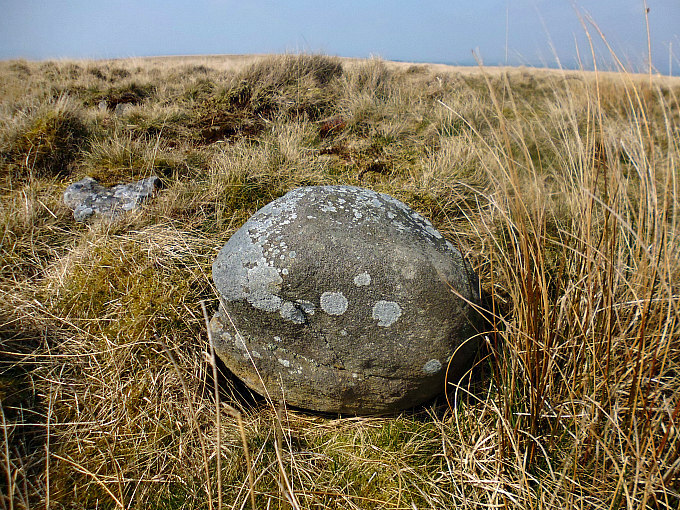 In recent times it has been suggested by a few people that the ‘Written Stone’ was brought down from the fell where it had perhaps been a standing stone, or that maybe it had once formed part of a stone circle, and as such it might have been a pagan altar-stone. Another theory is that it could possibly lay on the site of an earlier standing stone, according to Janet & Colin Bord (1980). I have heard it said that it might actually be an outlier. But from which stone circle did it come? as there are no such ancient monuments like that anywhere near here, so it must have travelled some distance. 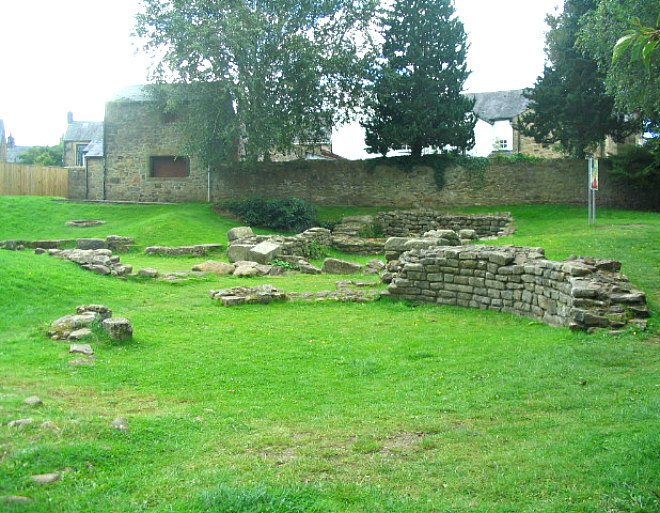 Written Stone Lane, also known as Boggart Lane, forms part of, or intersects with, a Roman road that links the forts of Ribchester and Lancaster. The British Listed Buildings (BLB) Source ID number is:- 1147440. See Link below. Bord, Janet & Colin, The Secret Country — More Mysterious Britain, Granada Publishing Limited, St Alban’s, Herts, 1980. Dixon, John & Phillip, Journeys Through Brigantia, Volume Nine, The Ribble Valley, Aussteiger Publications, Barnoldswick, 1993. Fields, Kenneth, Lancashire Magic & Mystery, Sigma Leisure, Wilmslow, Cheshire, 1998. Howarth, Ken, Ghosts, Traditions & Legends of Old Lancashire, Sigma Leisure, Wilmslow, Cheshire, 1993. Categories: Inscribed Stones, Misc Subjects | Tags: The Written Stone at Grimsargh near Longridge in Lancashire | Permalink. OS Grid Reference: NM 28632 24504. At the western side of the Abbey Church on the Island of Iona, Argyll and Bute, Western Scotland, stands the richly sculptured ‘St Martin’s High Cross’, which is similar to some of the Irish high crosses. It is thought to date from the beginning of the 9th or the late 8th century AD, although some think it to be much earlier? This tall granite cross is probably the best preserved Celtic religious monument in the British Isles, displaying scenes from the Bible. It was set up on the island in dedication to the French saint, Martin of Tours, who was much venerated in the so-called Dark Ages, especially in Scotland, Wales and the far west of England, when St Columba (521-597) sailed over from Ireland to set up his celebrated monastery here on this Scottish island in 563 AD. The college quickly became a renowned centre of early monasticism and learning and, also a ‘Cradle of Celtic Christianity’. The Island can be reached by ferry firstly from Oban to Mull, and then a smaller ferry from Fiannphort, taking you across the narrow Sound of Iona, to the little village of Baile Mòr on the eastern side of the island. 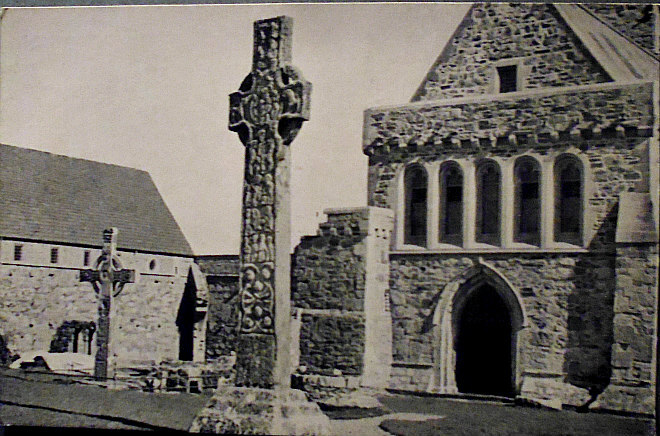 Old Postcard: St Martin & St John’s High Crosses, Iona, Scotland. St Martin’s High Cross on Iona stands over 14 feet high and, on its stepped base, well over 16 feet, and is made of red granite. It is very similar in sculptural design to some of the Irish high crosses, with its typical ring-head. One of its faces has scenes from the Bible, while the opposite face has Celtic-style decoration and bosses; but it is a beautifully and richly carved monument, which is thought to date from around 800 AD although some think it may actually date from the 6th Century – at which time it would have been set-up and dedicated to St Martin of Tours (320-401). So, we might ask: did St Columba have a hand in the setting up of the cross? There is a replica of the 8th or 10th Century St John’s Cross, the original is in the abbey museum (along with St Matthew’s Cross) and has a serpent with boss and spirals. St John the Evangelist was the apostle of Christ. There is also MacLean’s Cross though this is more recent, still, and dates from the 15th Century; it is named after a chief of the clan MacLean. The Canmore website tells us much more about St Martin’s Cross, saying: “This cross, whose name was recorded by Lhuyd in 1699, stands in a granite base…..21m W of the Abbey Church. It is carved from a single block of epidiorite, probably from the Argyll mainland, and is 4.3m in visible height by 1.19m in span. The diameter of the pierced ring is 1.09m and that of the armpits 0.24m. In the ends of the arms are vertical slots, open at the top, which may have housed ornamental panels rather than extensions for the arms. The angles bear roll-mouldings which on the W face extended below the lowest panel to flank an inscription, now indecipherable. The shaft of the E face bears three roundels of snake-and-boss ornament, a coarser variant of that in the same position on St John’s Cross. In the top of the shaft are seven interlaced bosses, each producing two snakes, and the largest of these is also one of the group of five high-relief bosses in the cross-head. That at the centre is set in a ring of nine small bosses linked by spirals, and in the side- arms each boss produces three snakes, while that in the top arm lies between two pairs of rampant leonine beasts. The E face of the ring bears knitted interlace. Canmore also adds: “On the W face the lowest panels bears six bosses with intertwined serpents, followed by four rows of figure-scenes on an undivided field. (i) Two pairs of figures too simplified for indentication. (ii) A harper, seated with outstretched legs as on St Oran’s Cross and facing a kneeling man with a (?triple) pipe; a rectangle between them may represent a drum or a book symbolizing David’s authorship of the psalms. 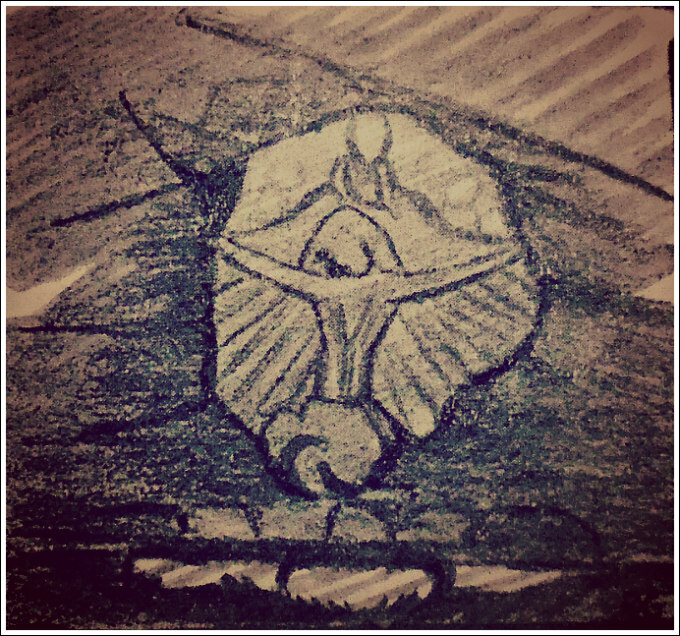 (iii) Abraham’s sacrifice, with a central figure holding a sword across one shoulder and grasping the hair of Isaac, whose arms are extended above a rectangular altar; the small winged figure of the angel stands at the left. (iv) The seated figure of Daniel between two rearing lions, with a lump which may be the head of another lion to the right. This theme may continue in the side-arms, where two passant leonine beasts flank a central roundel with the seated Virgin and Child between four small angels, the upper ones forming a canopy. The top arm bears three pairs of back-to-back leonine beasts with intertwined tails.” I Fisher 2001. See the Canmore website, below. The Canmore ID number is:- 21653. Joyce Miller (2000) adds some interesting info on Iona Abbey and St Columba: “Situated on the beautiful and peaceful island of Iona, this is where St Columba came to found a monastic community. He converted the Picts of mainland Scotland, ruled by Brude, to Christianity. Columba was born in Donegal in 521 and died in 597, and the Columba’s shrine, within the Abbey buildings, dates from the 9th century. Bryce, Derek, Symbolism Of The Celtic Cross, Llanerch Enterprises, Felinfach, Lampeter, Dyfed, Wales, 1989. Miller, Joyce, Myth and Magic — Scotland’s Ancient Beliefs & Sacred Places, Goblinshead, Musselburgh, Scotland. The Rough Guide, Scotland, Rob Humphreys, Donald Reid & Paul Tarrant, Rough Guides Ltd., London, 2000. 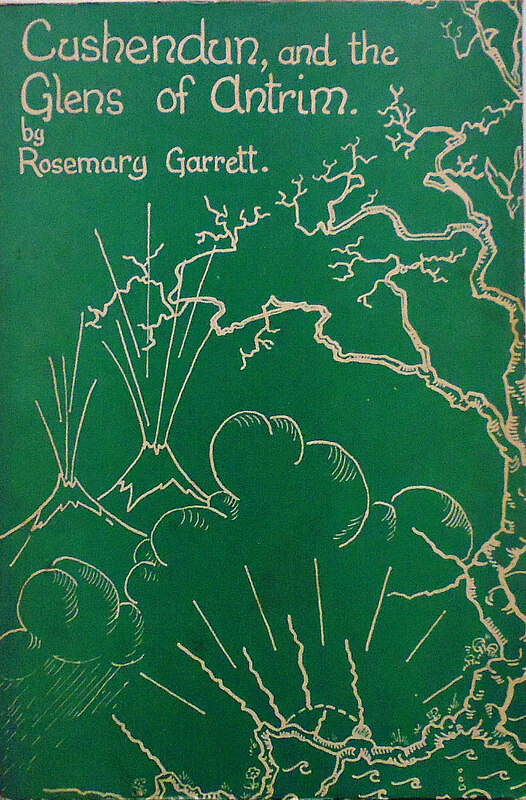 *Wonders Of The World, (fwd: by Sir Philip Gibbs K. B. E.), Odhams Press Ltd., London, 1930. Categories: Ancient Crosses | Tags: St Martins Cross on the Island of Iona in Argyll and Bute in Western Scotland | Permalink.